Engineered for strength. Built to last. 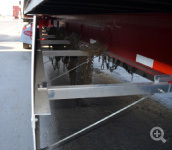 Many container chassis trailers running on high mileage routes will benefit from trailer skirting technology. 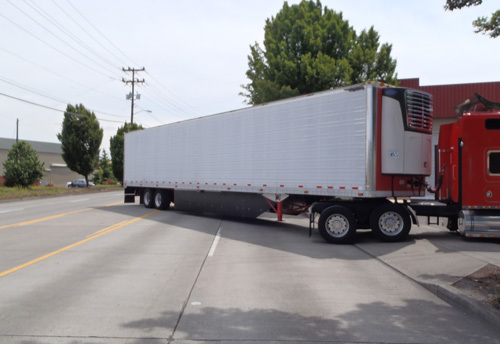 The Freight Wing Chassis Fairing was developed to meet this specialized need. 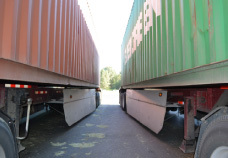 Units placed in operation have performed very well with consistent and measureable fuel economy improvements. 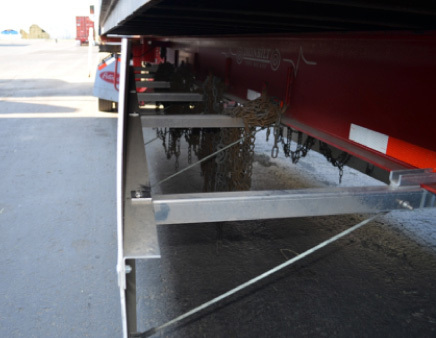 Brings new efficiencies to chassis operations. 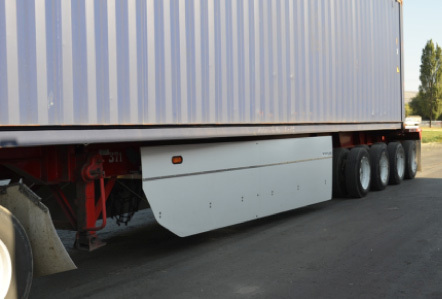 The Chassis Fairing provides up to 7% fuel savings when tested in fleet operations. 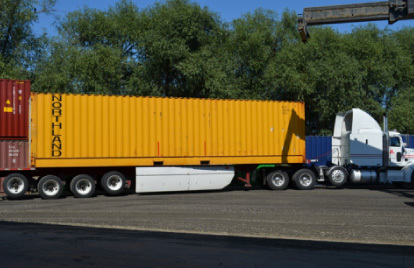 For long haul oriented container movements, these fuels savings can add up to thousands of dollars per chassis per year. In developmental testing the Chassis Fairings were placed on a 130 mile route that ran twice daily. Average mpg on these routes improved from 5 to up to 5.3 over many weeks of controlled testing. Fuel savings came in around 5-7% when compared to the historical baseline data. 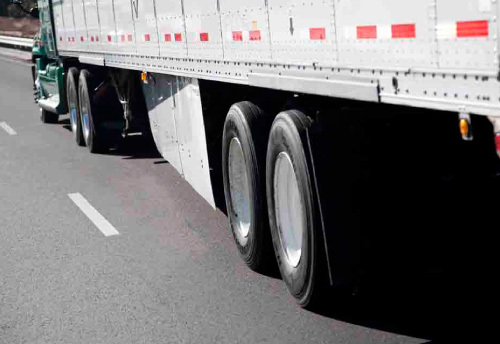 In total, the skirts ended up saving 25,715 gallons of fuel during the first year. 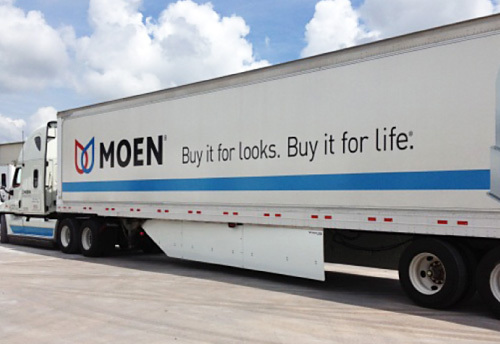 At $4 per gallon this fleet saved $102,860 or about $3,809 per truck annually in fuel savings. 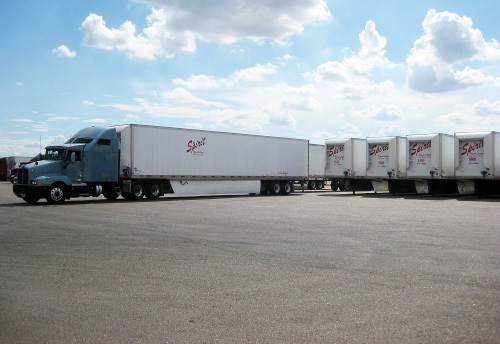 This equated to around a six month return on investment for this fleet operation. Applying the proven flexible AeroFlex concept to this fairing, you do not need to worry about impact damage negating your important fuel economy benefits. 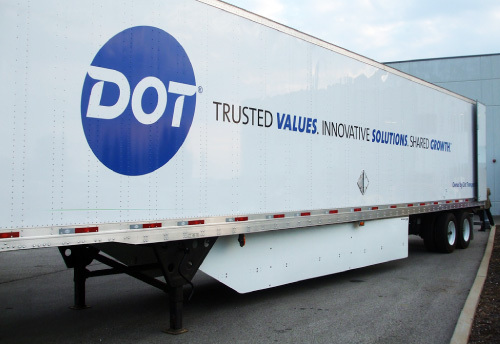 This design is simple in construction and will make the Freight Wing Chassis Fairing an important addition to any high mileage dry van trailer. 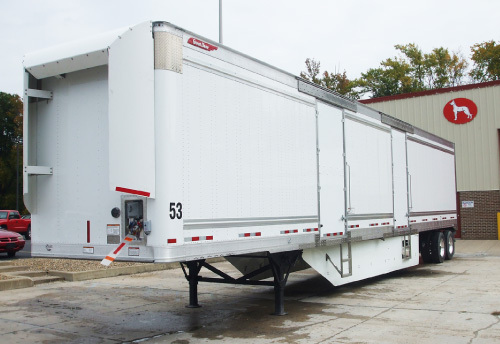 The Freight Wing Chassis Fairing is easily mounted to nearly any container trailer, providing improved airflow and less drag on the trailer. 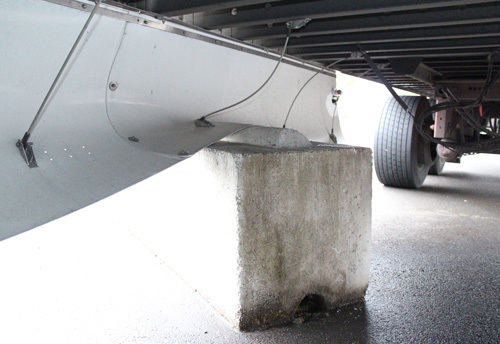 The unit is clamped onto the I-beams, below where the intermodal box rests. 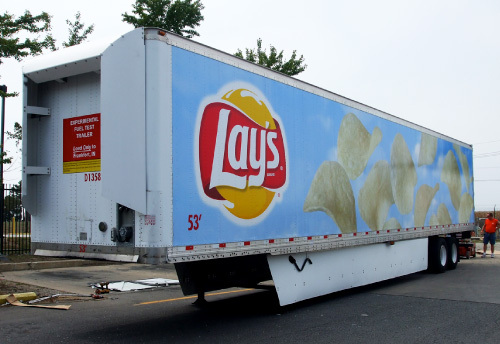 This keeps the two panel side skirts intact and free from damage during loading. 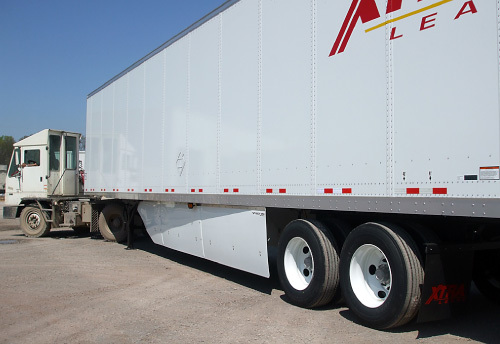 The skirts are fully flexible and are attached to the trailer with fiberglass rods that can bend to absorb impacts. 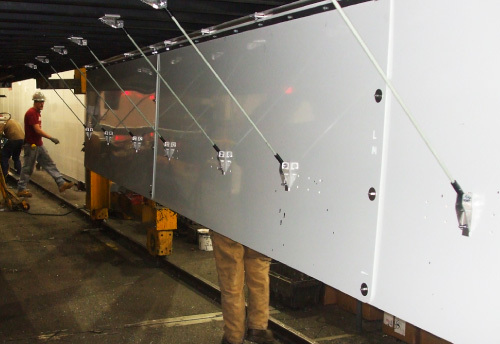 Flexible panels and support rod system. See more examples of Chassis Fairing and Aeroflex applications.